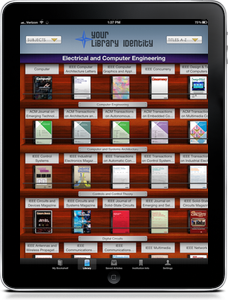 Browzine - a free app, provided by DiMenna-Nyselius Library, that lets you browse, read and monitor the latest scholarly journals. BrowZine works by organizing the articles available through DiMenna-Nyselius Library, uniting them into complete journals, then arranging these journals on a digital newsstand. 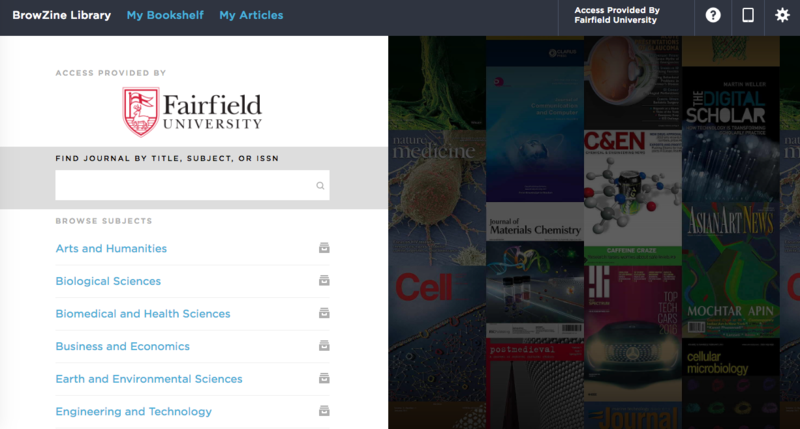 The result is an easy and familiar way to browse, read and monitor scholarly journals across disciplines. Download articles to your tablet: To download articles onto your tablet you may need to also download an app such as "Downloads" so that you can open the file(s). Download BrowZine by simply going to the app store for your device and search for "browzine". It's a free download. Next, select "Fairfield University" from the library list. You will be prompted to log in with your University NET ID. The staff at BrowZine are happy to help.